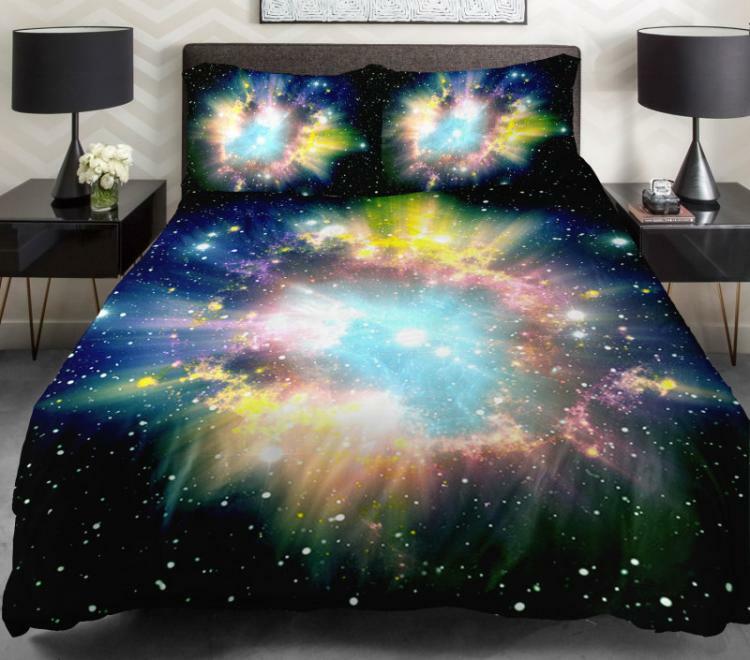 The Galaxy Bedding set is a duvet and pillow covers that will allow you to fall asleep as if you are falling into a black hole where you can finally get some rest from your nagging wife yelling at you to fix the garbage disposal. 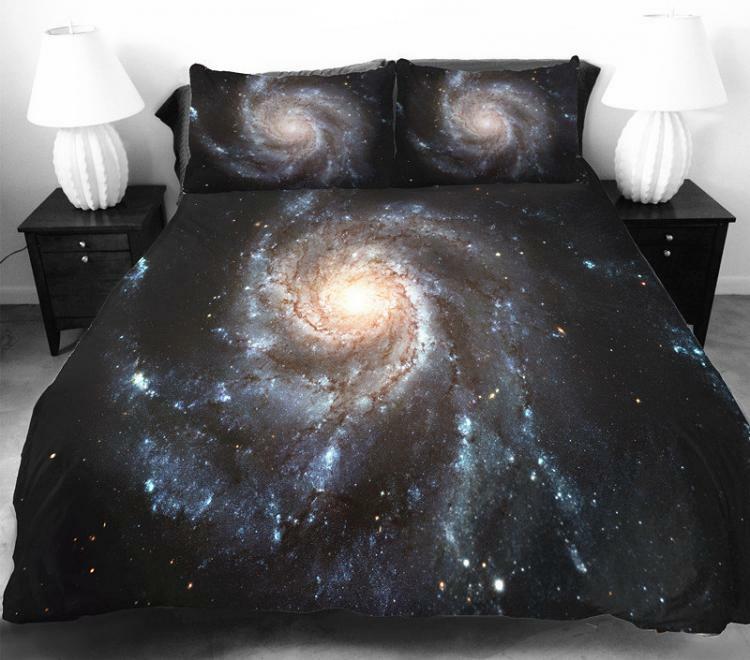 Drift off into the stars each night, not having to think about anything until the morning when you're alarm goes off and for those brief couple of seconds you contemplate how it might just be easier to kill yourself than to get up and go to that terrible job you hate. 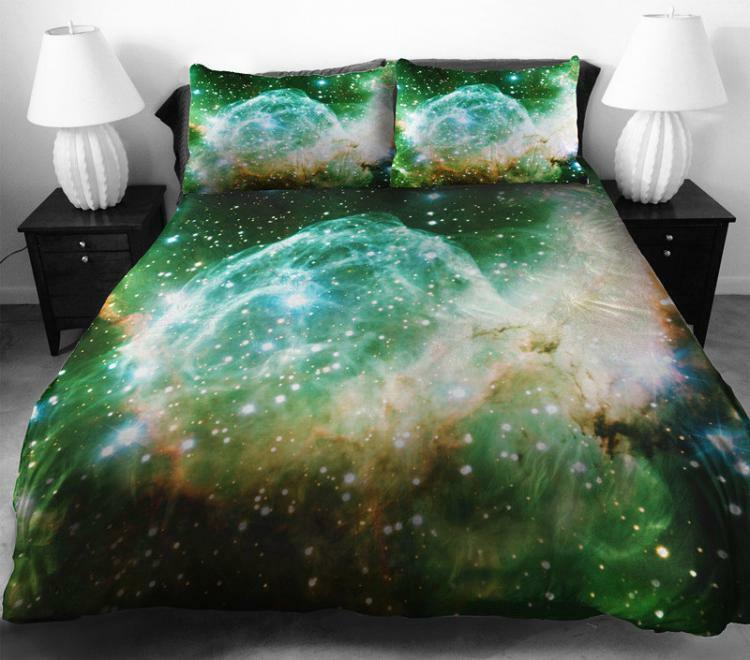 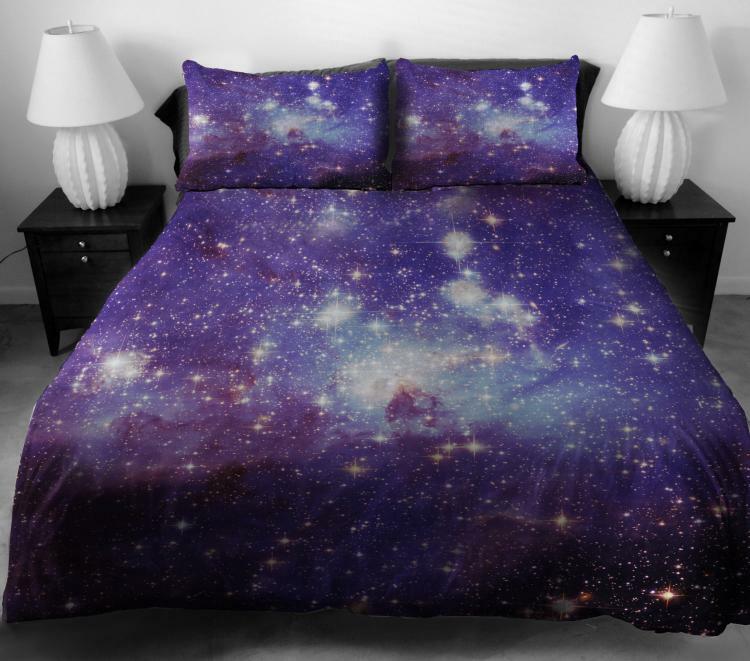 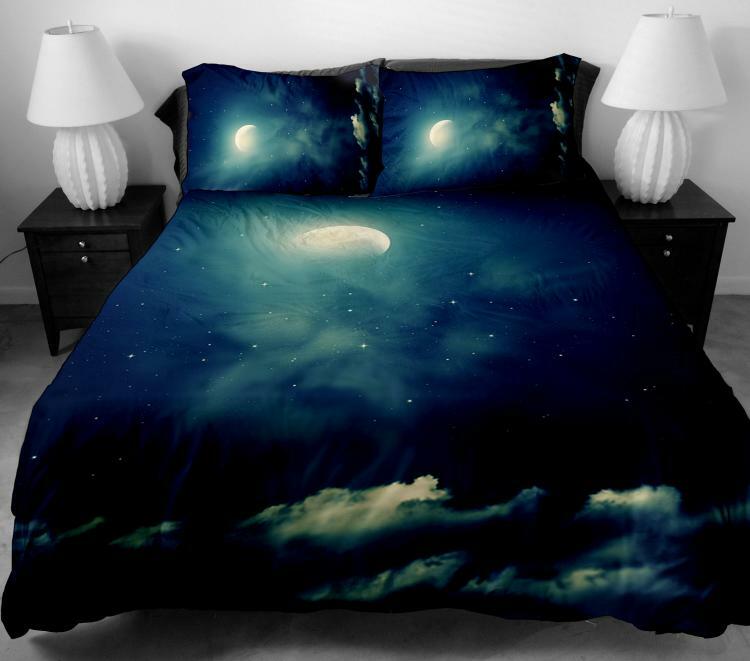 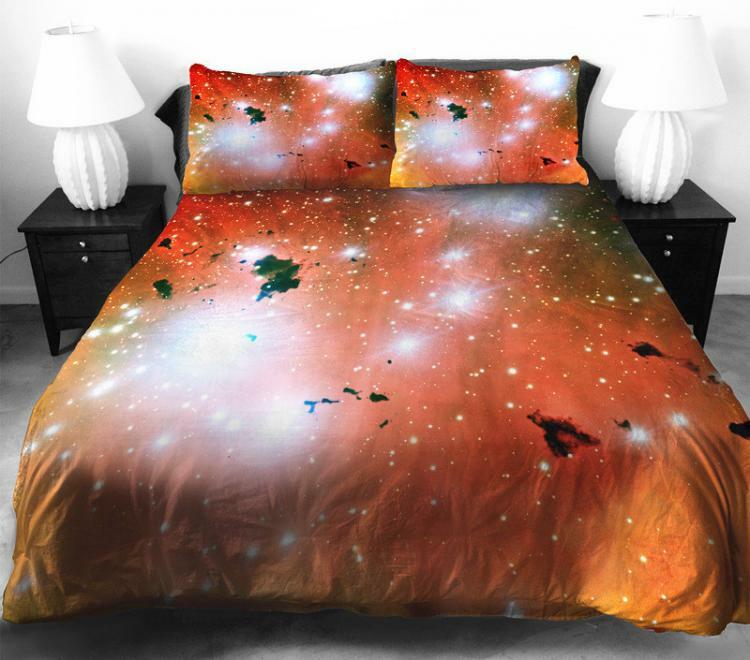 Custom made on satin sheets, the galaxy bedding is digitally printed as to not fade or wear like other crappy graphic sheets. 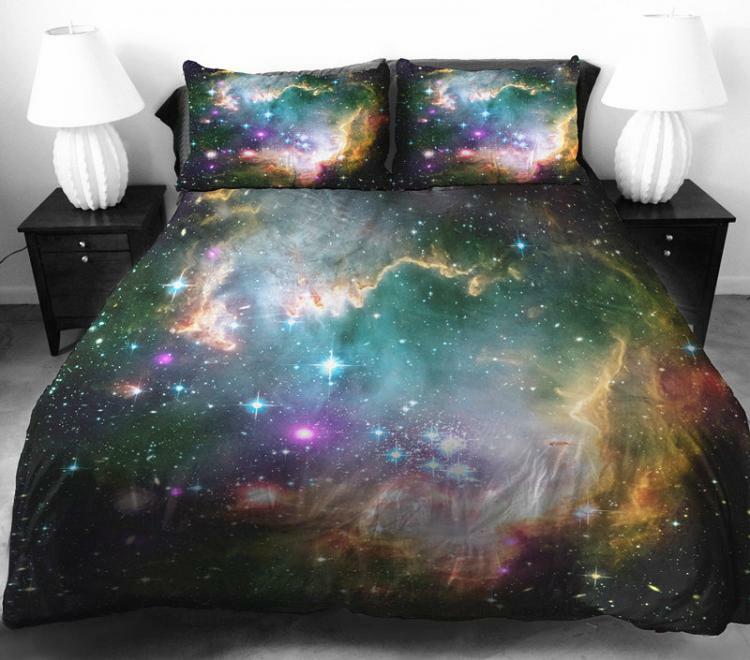 Along with the many styles of galaxy designs to choose from, the galaxy bedding comes with a galaxy graphic duvet along with two matching pillow cases, feature graphics on both sides of the duvet, and come in sizes ranging from a small/twin bed to a king sized bed. 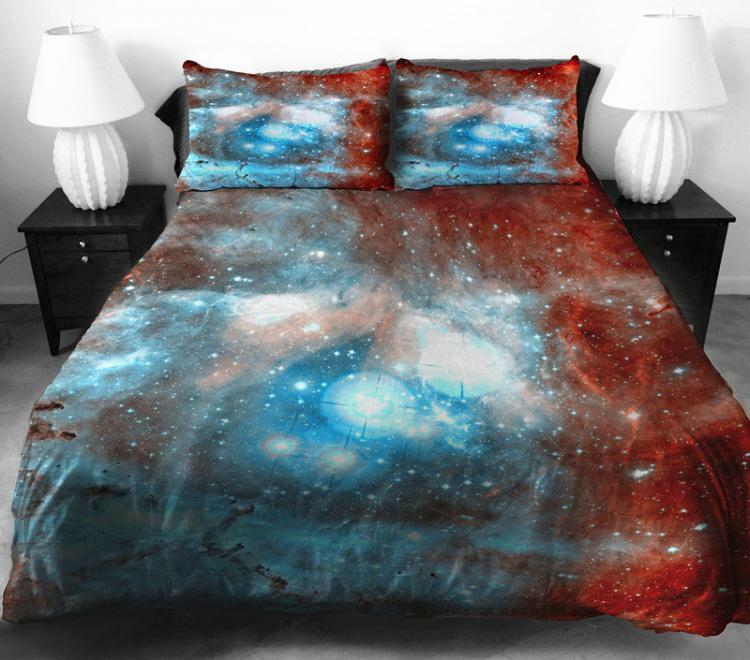 Be sure to also check out the Galaxy Rugs, for all your space themed floor needs.